North Carolina Central, Norfolk State and Howard will get the bulk of the MEAC’s TV time this basketball season. The MEAC’s ESPN schedule is out and three teams, including defending champion North Carolina Central, will get multiple chances to shine. Norfolk State and Howard will make two regular-season appearances on The Four Letter Network, along with NCCU. Both NCCU games will be held in the cozy confines of McDougald-McLendon Arena in February. The first, against Hampton, will take place on Feb. 5 and be broadcast on ESPNU. 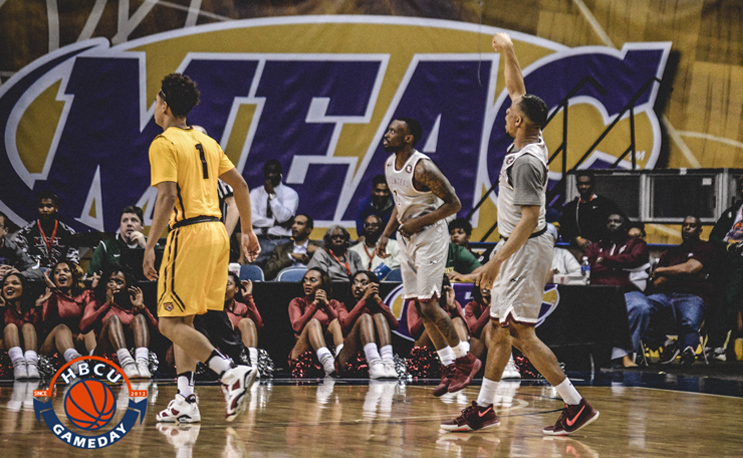 Just over two weeks later on Feb. 15, NCCU will host Howard on a Monday night. Howard will get another appearance a week later as it hosts Norfolk State on Feb. 26 on ESPNU. NSU, last season’s runner-up, will host Delaware State on Feb. 12 at Joseph Echols Arena on ESPNU. Morgan State and North Carolina A&T, the two MEAC teams with the most wins coming into conference play, did not make the cut. The MEAC Women’s Championship Game will also be broadcast on ESPNU on March 11. The men’s championship game will be broadcast on ESPN2 on March 10 at 1 p.m.
ESPN3 will stream the first round of the tournament through the semifinals, from March 5-10, and will also stream the women’s title game live.